Get Yours In New Orleans, LA Today! Come to Premier CDJR of New Orleans to discover the new 2019 Chrysler 300 for sale in New Orleans, LA. If you are searching for a new Chrysler sedan that offers an advanced all-wheel-drive system, responsive handling, and fuel saver technology, come over from Metairie and Kenner to our car dealer. You can book your 300 test drive online and we'll have it waiting for your arrival. For 2019, Chrysler delivers their new 300 sedans in five distinct trim levels. Climbing into the cabin of the base model, 2019 Chrysler 300, we find a powerful 3.6-Liter V6 24-Valve VVT Engine. Additional features are its Deep Quilted, Perforated and Ventilated Nappa Leather-Trimmed Seating, Real Natural-Pore Mocha Wood Interior Bezels, Adaptive High-Intensity Discharge Headlamps and Heated Leather-Wrapped Luxury Two-Tone Steering Wheel with Chrome Accent Ring. Sliding out of the 300C, and into the 300 Limited, drivers have 20-Inch Fully Polished Aluminum Wheels, Real Black Olive Ash Burl Interior Bezels, Memory System for Power Driver Seat, Exterior Mirrors and Radio Station Presets, Heated Wood and Leather-Wrapped Steering Wheel and Power Tilt and Telescoping Steering Column. The 2019 Chrysler 300S changes the performance dynamics. Here we have a 300 horsepower, 3.6-Liter V6 Engine that mates to an Eight-Speed Automatic Transmission with Rotary E-Shift, Paddle Shifters and Sport Mode (RWD/AWD). Experience the ride comfort that comes from 20-Inch Hyper Black Aluminum Wheels, and a Performance-Tuned Suspension as you enjoy Black Exterior and Interior Accents. This model is also available with the 363-HP 5.7L HEMI® V8 Engine. The 300 Touring L adds Heated Eight-Way Power Leather-Trimmed Front Seats with Four-Way Power Lumbar Adjustment, Keyless Enter ’n Go™, and a Security Alarm. When you slide into the cabin of the 300 Touring model, you are treated to Uconnect® 4C with 8.4-Inch Touchscreen, ParkView® Rear Back-Up Camera, Premium Cloth High-Back Bucket Seats, Dual-Zone Automatic Temperature Control, and Bifunctional Halogen Projector Headlamps. Take command of the 292 horsepower, 3.6-Liter, Pentastar® V6 Engine and the Eight-Speed Automatic Transmission with Rotary E-Shift. When you are ready to discover these comforts and feel the power of these engines in person, we hope you'll visit our New Orleans, LA, Chrysler dealer. The sales team here at Premier CDJR of New Orleans is waiting to tour you through these comforts and systems then help you secure Chrysler 300 financing near Metairie and Kenner! 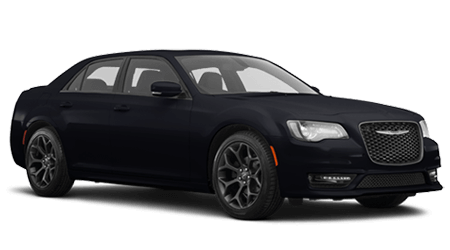 If you are in the market for a four-door sedan that offers an available sport mode for increases pedal response, drive off in the new 2019 Chrysler 300 for sale at Premier CDJR of New Orleans. Don't forget our New Orleans, LA, dealership when you want to book your maintenance appointment. Visit us soon for a competitive price on a 2019 Chrysler 300!